A delicious gummy fruit cocktail of blackcurrant, lemon, strawberry, lime and orange. Just received my order less than 24 hours after ordering it. 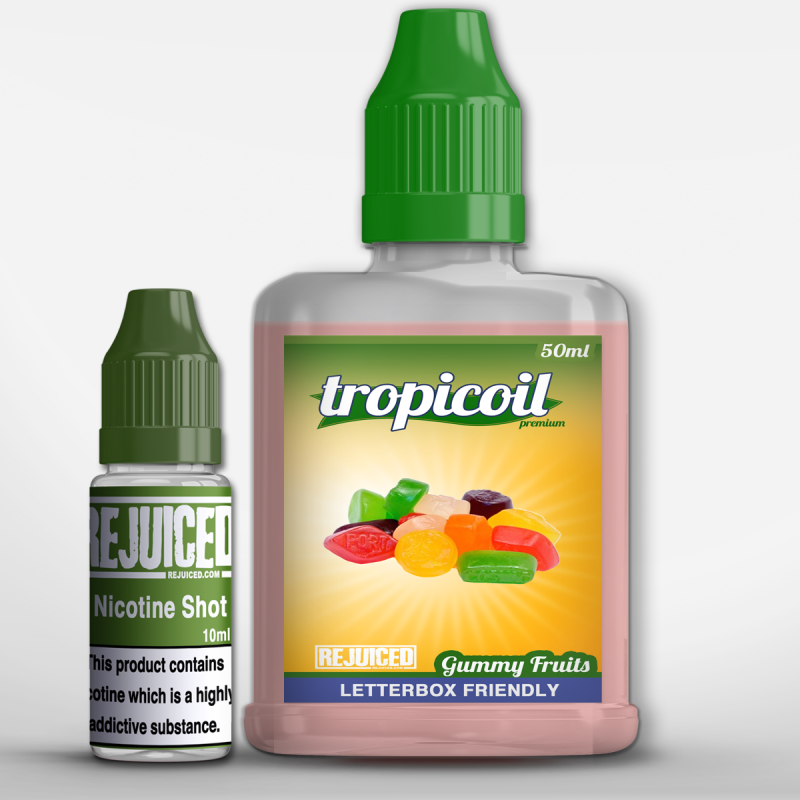 Fantastic juice, vaping it straight away and getting wine gums and an aftertaste of fruit pastiles, Beautiful my new ADV. Wow just wow I am blown away by this flavour, I usually buy American Grape Soda in bulk every month from Rejuiced, this little number came along and blew it straight out of the water. Well done Rejuiced you have created two of my childhood favourite sweets in one. I absolutely love my Wine Gums and Fruit Pastels this Eliquid is like a combination of both, I shall be buying this along with American Grape Soda each month I highly recommend this flavour to anyone who has a sweet tooth.